Sam and I drank very potent mezcal this evening. It came in a label-less, worm-less bottle - a gift from my colleague Jimena, whose family home-brews it outside Mexico City somewhere. The first sensation was fairly nondescript, a bit like vodka, but after a few seconds came an incredibly smokey, woody aftertaste. It's this that differentiates it from the more popular tequila. 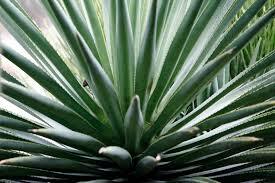 Both are made from agave plants but 99% is tequila, made from the blue agave. To merit the name, mezcal must be made in only seven of Mexico's thirty states, including Oaxaca in the south, often considered its home. See interesting, 4-minute Guardian video here.